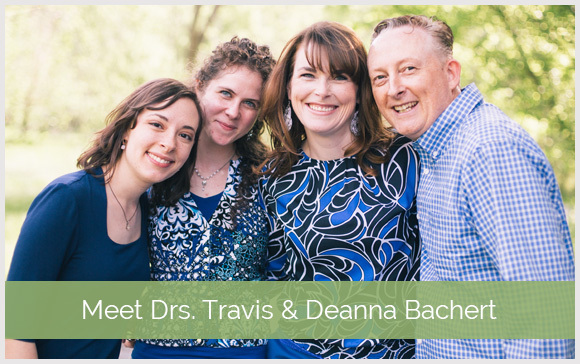 At Bachert Wellness Clinic, Bentonville chiropractors, Dr. Travis Bachert and Dr. Deanna Bachert, are committed to your total health and wellness. They will take the time to listen to you and treat your individual needs with compassionate care. Our doctors’ Christian faith is woven throughout everything we do at Bachert Wellness Clinic. You’ll hear uplifting Christian music being played throughout the clinic and enjoy our caring, soothing environment. Dr. Travis and Dr. Deanna began the practice in 2002 in Rogers, Ark. They moved to their current location in Bentonville in 2012. They have been applying their diverse training and knowledge to help patients, who may have not found help elsewhere, feel better. Bachert Wellness Clinic is not your typical chiropractic practice. We provide traditional chiropractic care, plus so much more! Our mission is to treat the whole body and help patients reach their full health potential through treatment and education. Dr. Travis and Dr. Deanna not only use traditional chiropractic techniques but bring extensive knowledge and experience in nutritional counseling and acupuncture among other therapies and services. 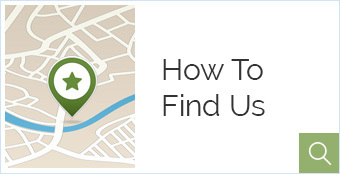 They offer an array of services that address your health and wellness needs beyond your original pain symptoms. Bachert Wellness Clinic is also the only clinic in the area that offers the Chiro Plus Kinesiology (CPK) technique. This technique is a gentle and thorough system of examining the body and treating it. Dr. Travis and Dr. Deanna also lead workshops to educate their patients on how to achieve excellent health. Are you seeking doctors who care and listen to your concerns? Appreciate time spent with me and explaining everything. Everyone is friendly and upbeat! The staff are friendly, accommodating and helpful. Facilities are clean and comfortable. The care and health-related support that I consistently receive at the Bachert Wellness Clinic is truly exceptional. I credit my strength and good health to the Lord and to the compassionate and professional staff at Bachert Wellness Clinic. Bachert Wellness Clinic is amazing. I don’t know how people live without them. Everyone is always so welcoming. I think you are doing a great job. Appreciate all the love you have shown me and encouragement! My visits to Bachert Wellness Clinic are ALWAYS a pleasant experience and I feel that I am getting the best care and advice on staying healthy. Dr. Travis takes an authentic interest in me and my well being. Bachert Wellness Clinic has helped me with allergies, body pains, stress, alignment, headaches, general well being, tolerance, vision, fatigue and food cravings. So far Bachert Wellness Clinic has helped improve my health greatly. My pain has been reduced considerably than what it was prior to my sessions at Bachert. Things have been progressing well. Bachert Wellness has taught me how to listen to what my body needs. 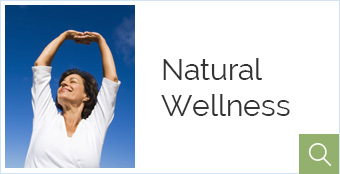 We have been going to Bachert Wellness Clinic since 2007. We have been treated for car accident injuries, allergies, minor back issues, sports injuries, infections (colds etc), Lyme Disease, & chicken pox to name a few. I honestly believe that if it wasn’t for Dr. Travis & Dr. Deanna, our family wouldn’t be as healthy as we are.